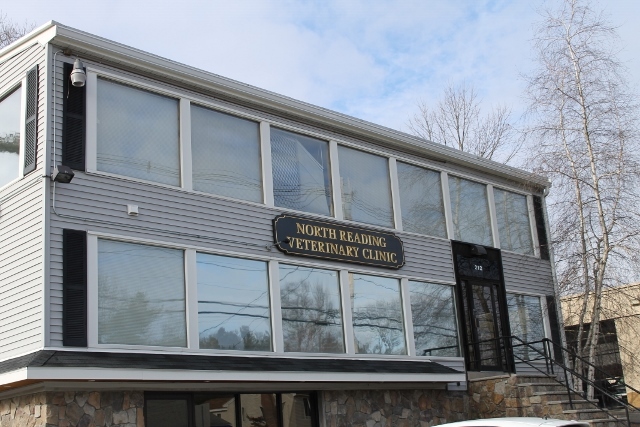 Here are some questions/answers that we are frequently asked at North Reading Veterinary Clinic. If you have additional questions that aren't covered here, please feel free to give us a call at 978-276-3203. Our hospital is open Monday through Friday from 8:00 am to 7:00 pm. On Saturday we are open from 8:00 am until 4:00 pm. The clinic is closed on Sunday. Payment is required at the time of service. We do offer Care Credit for a third party payment option. Procedures involving sutures usually require them to be removed 10-14 days following the surgery. Yes, we do boarding for our clients. We have boarding space for both dogs and cats. We also can board birds and other small animals such as rabbits, but you will be required to bring your own cage and food for your pet. Our dog kennels are all indoor. The dogs are walked 4 times daily while they are boarding. The cat boarders are housed in a separate area away from boarding dogs. Blankets and food are provided for our boarders, but you are always welcome to bring your own.